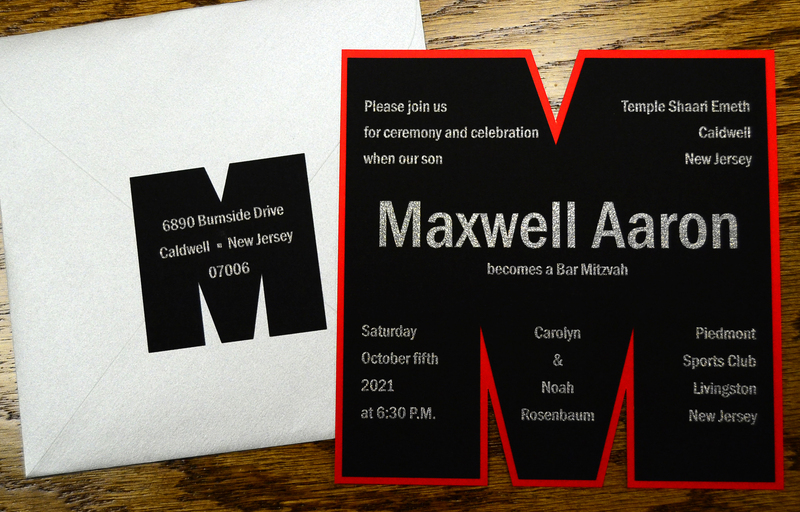 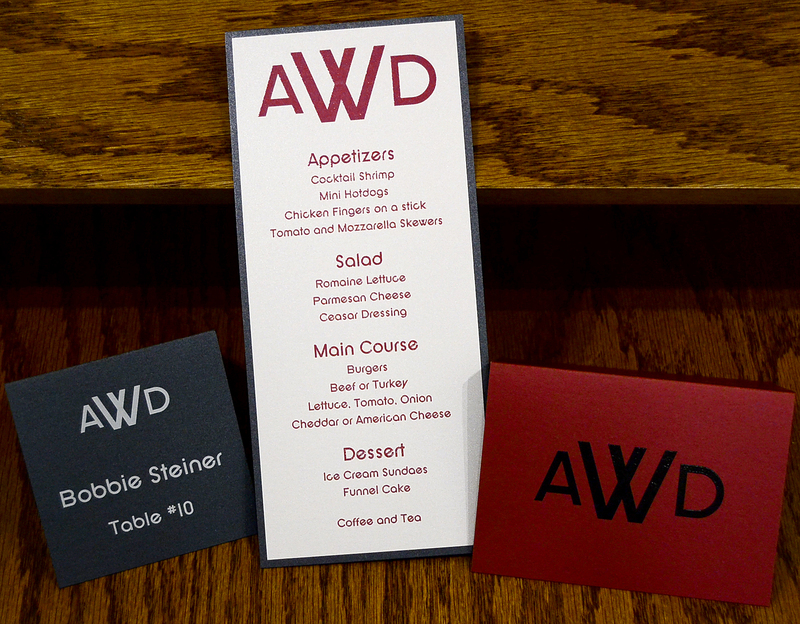 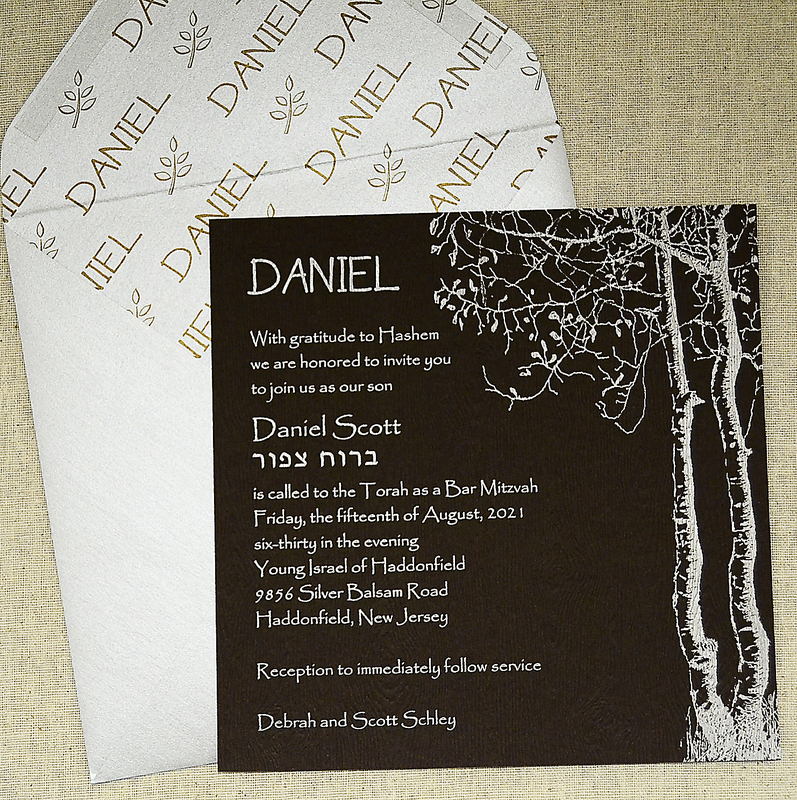 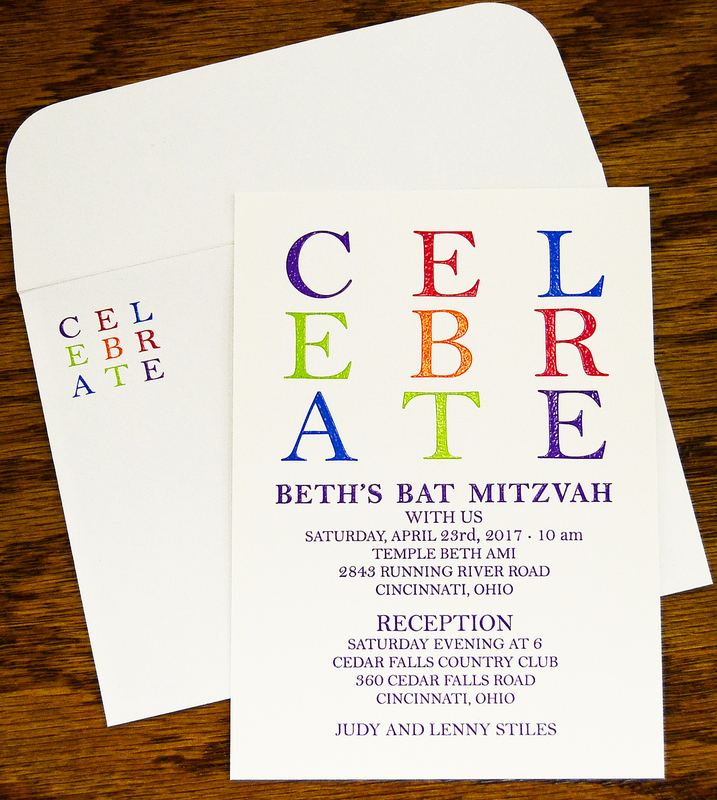 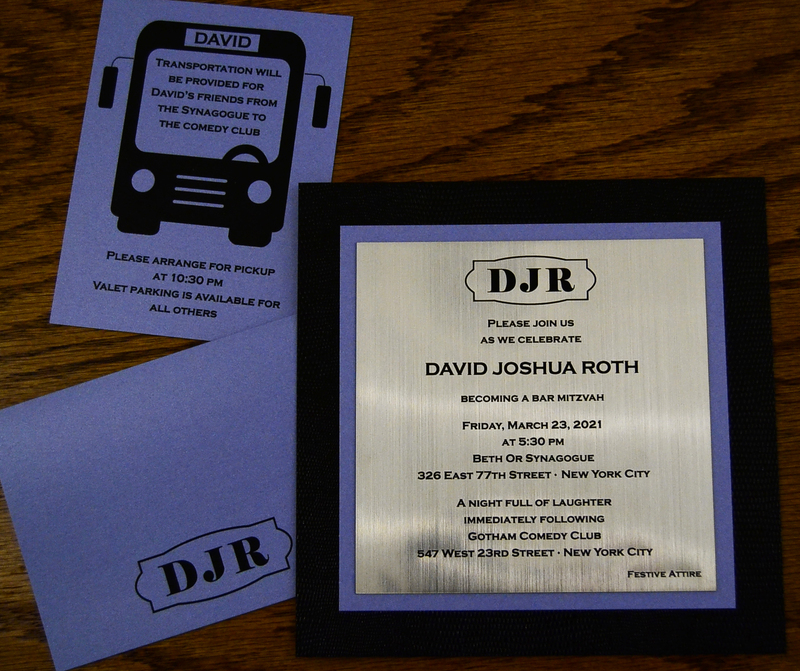 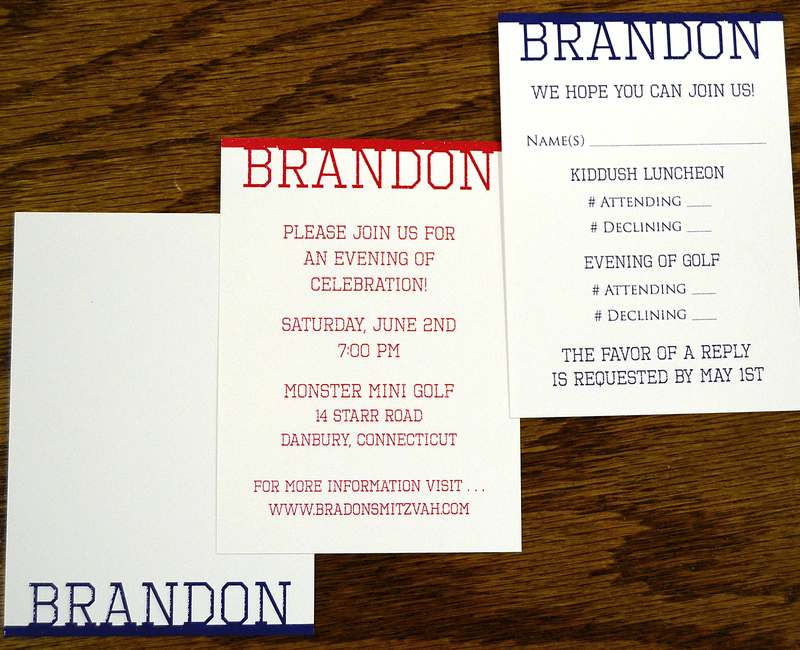 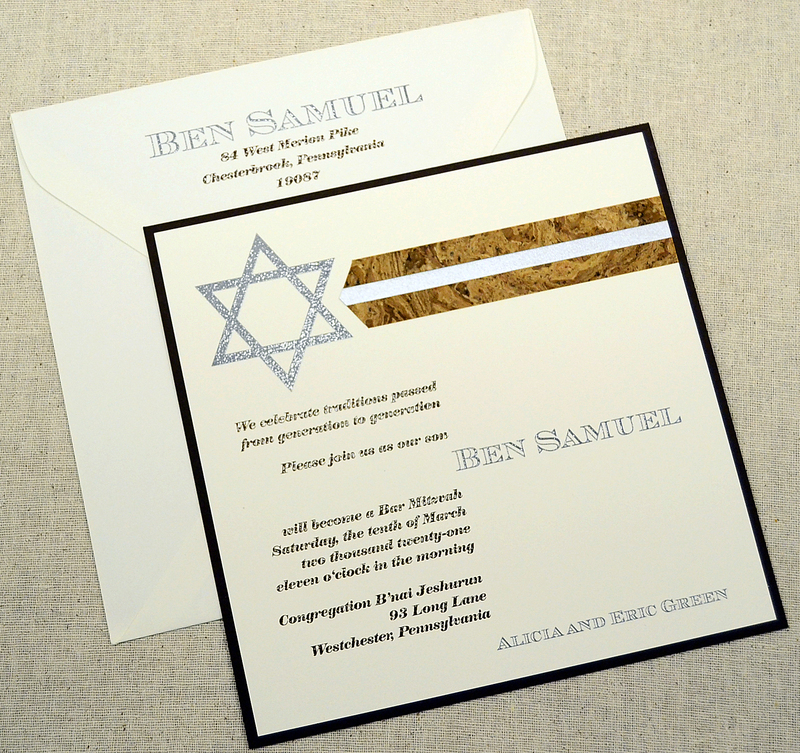 Choose one of our pre-made Bar Mitzvah themes, or design your own. 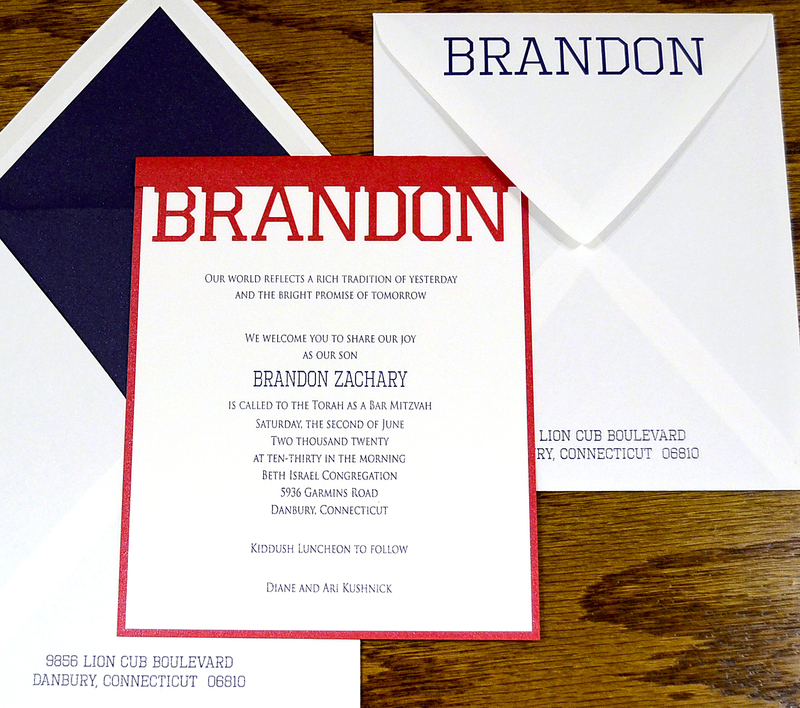 Request a personalized invitation designed especially for your son. 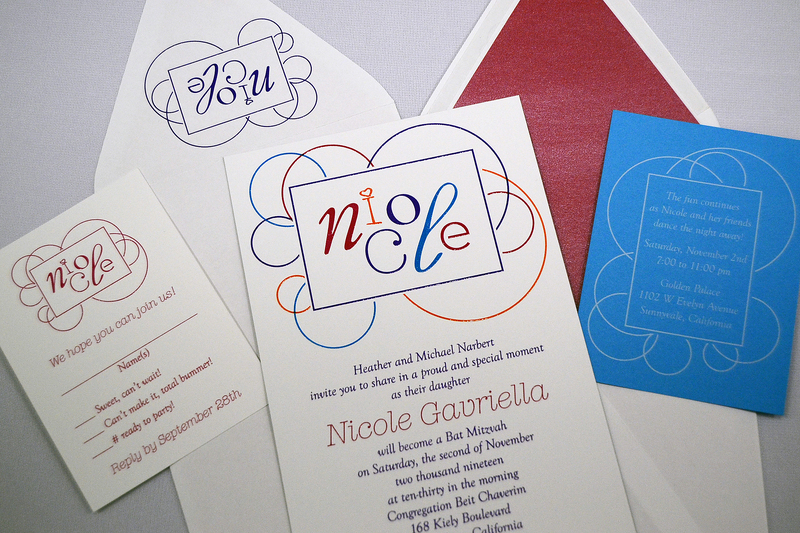 Customize the paper, colors and lettering to reflect favorite interests, hobbies or a theme. 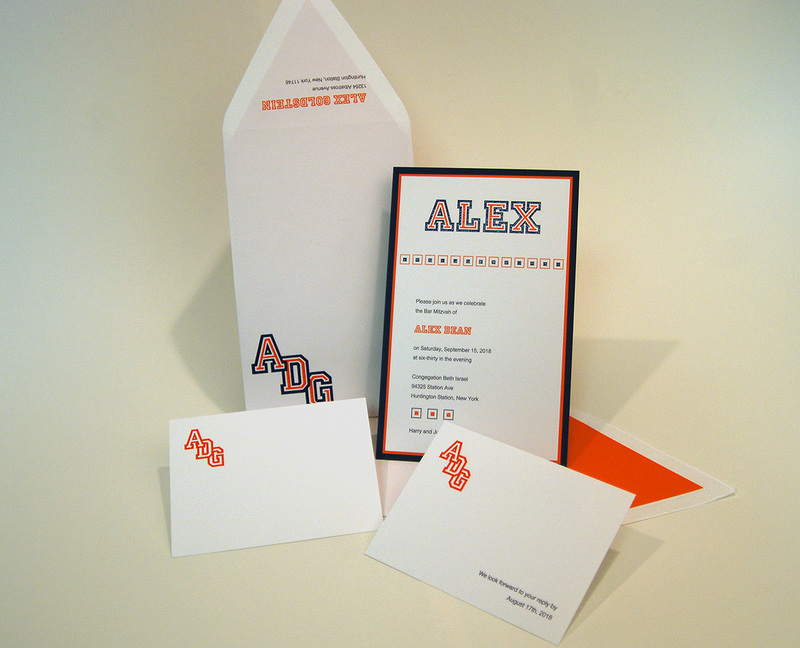 Add printed or mounted photos, team logos, paper cut-outs and more. 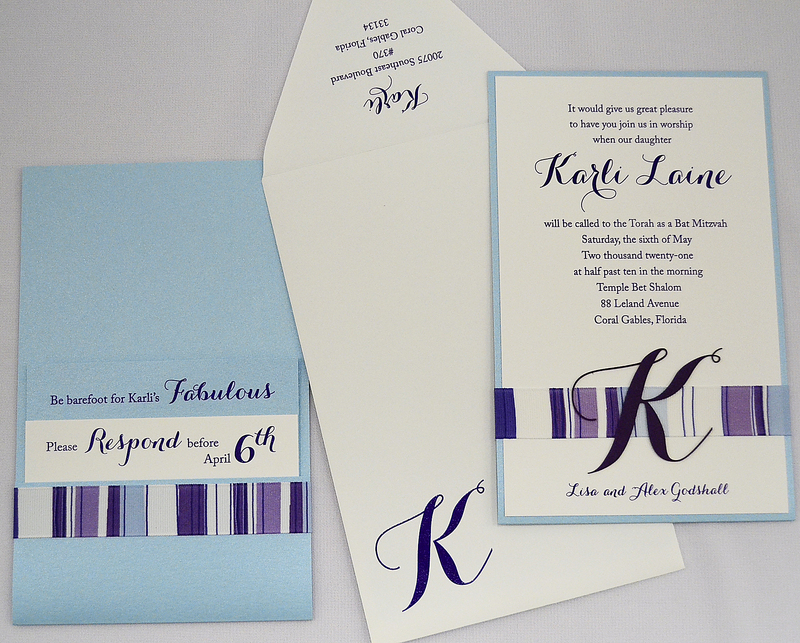 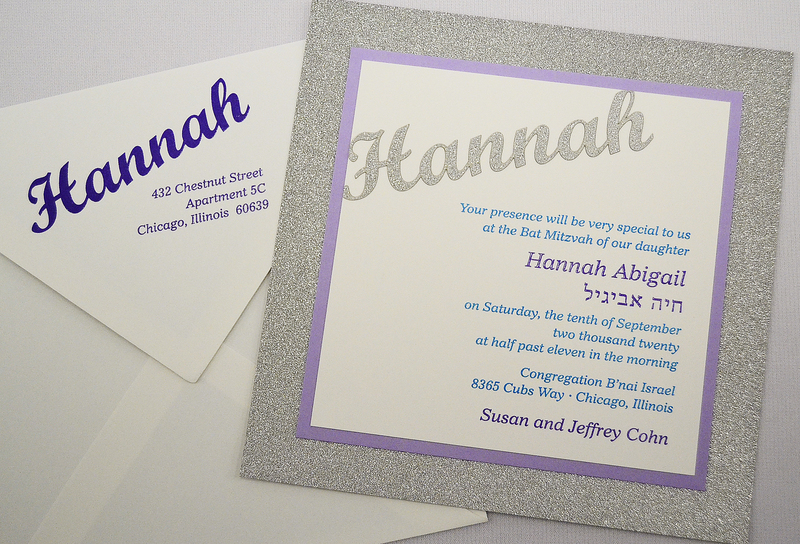 Choose one of our pre-made Bat Mitzvah themes, or design your own. 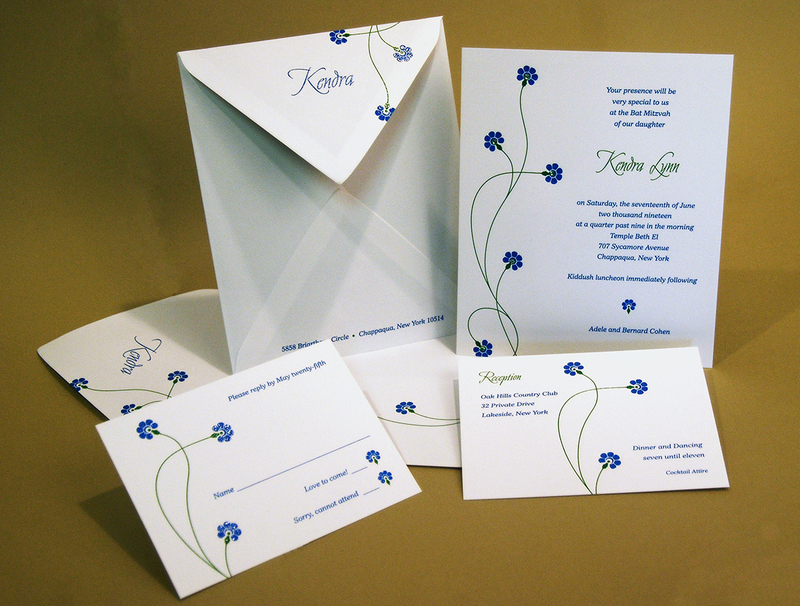 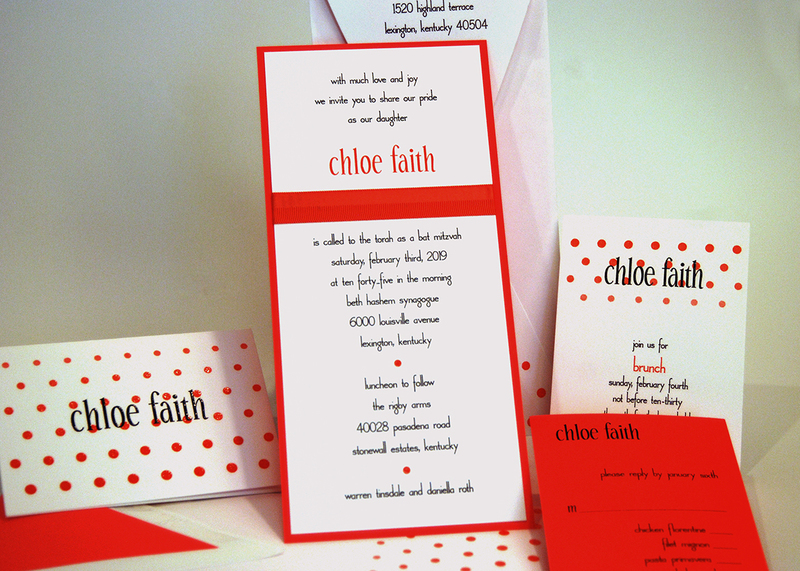 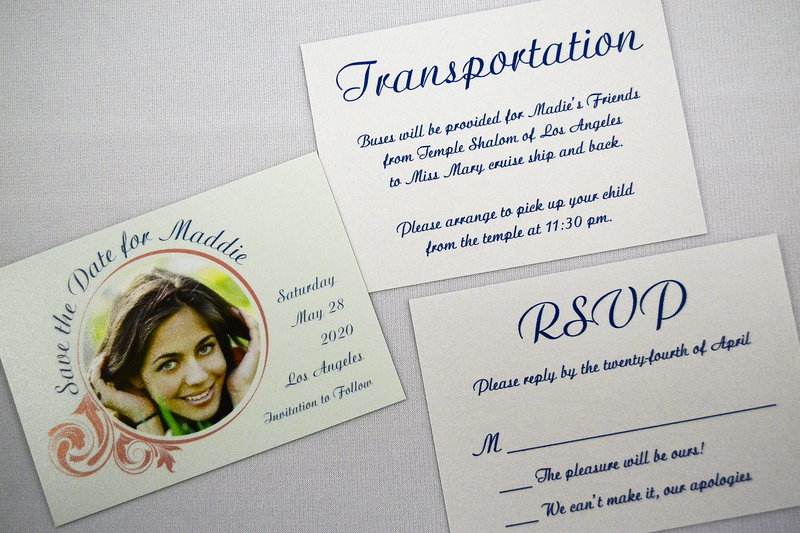 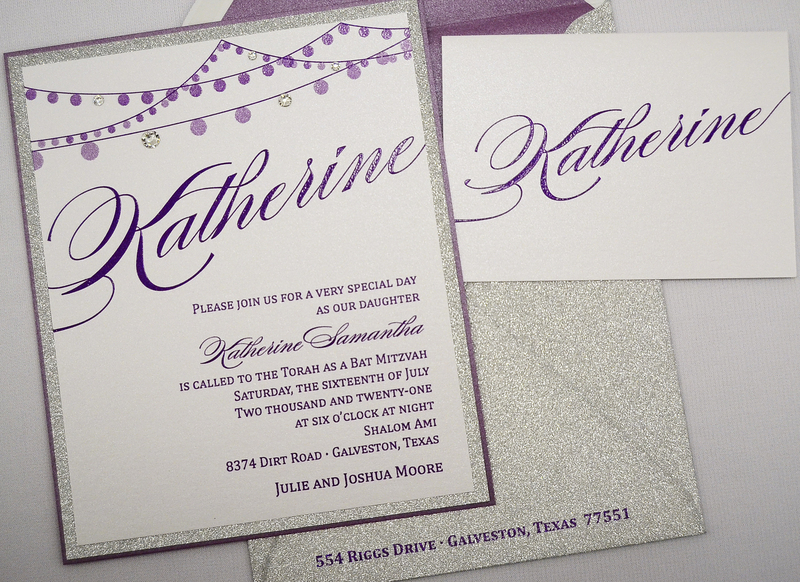 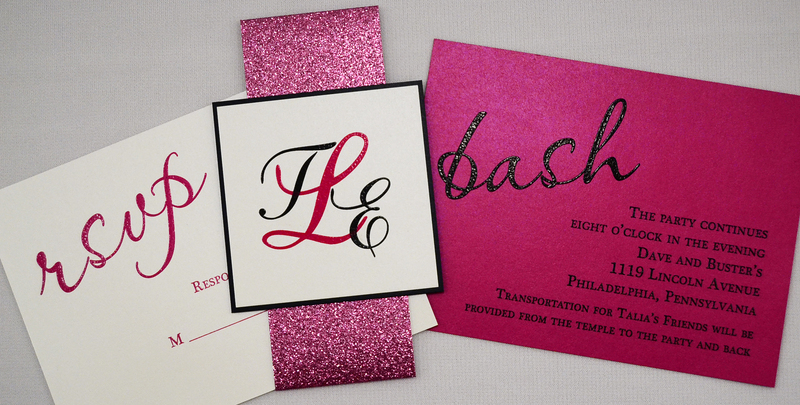 Request a personalized invitation designed especially for your daughter. 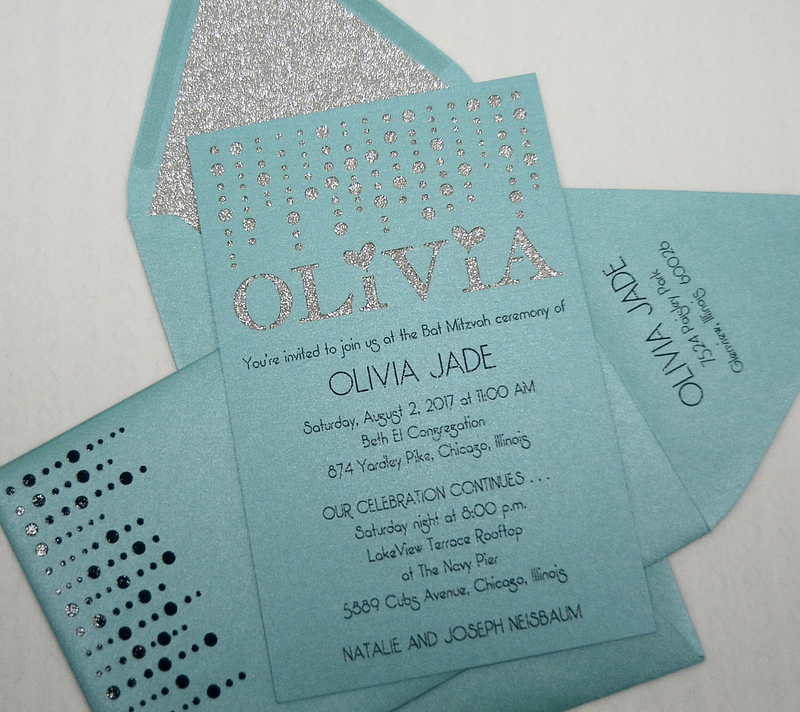 Add printed or mounted photos, paper cut-out decorations, rhinestones, ribbons and more. 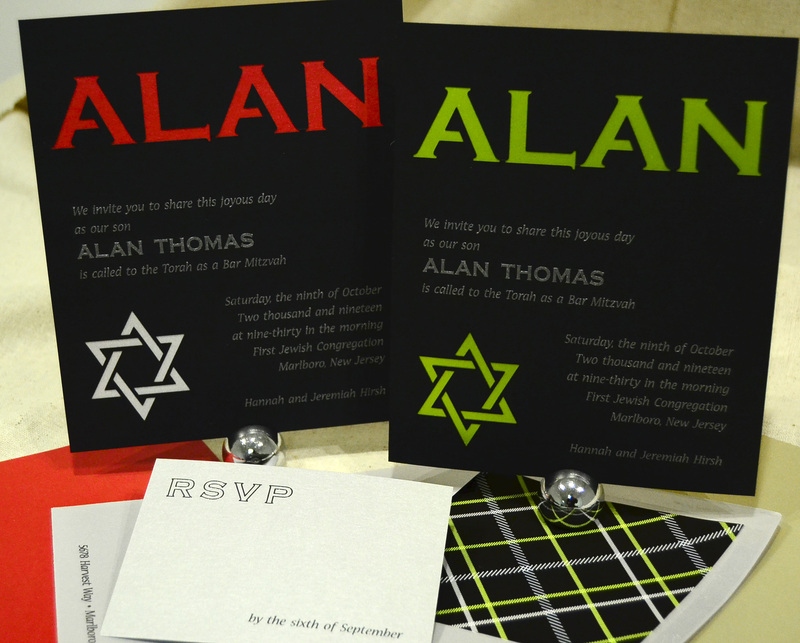 Add stylish accessories for your Bar Mitzvah or Bat Mitzvah celebration. 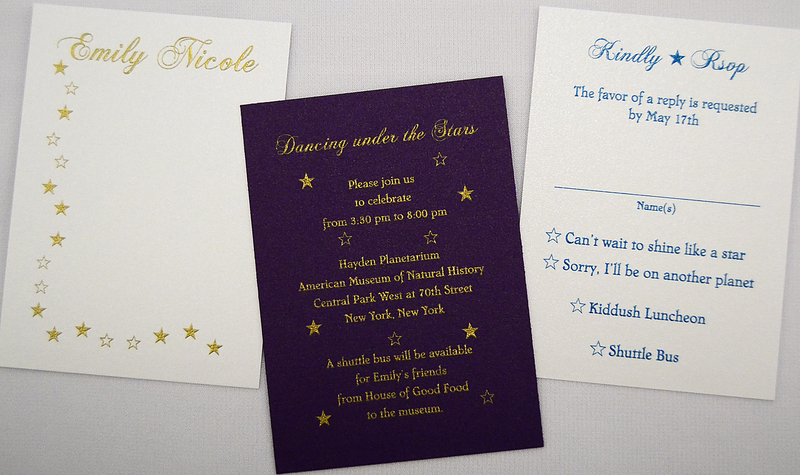 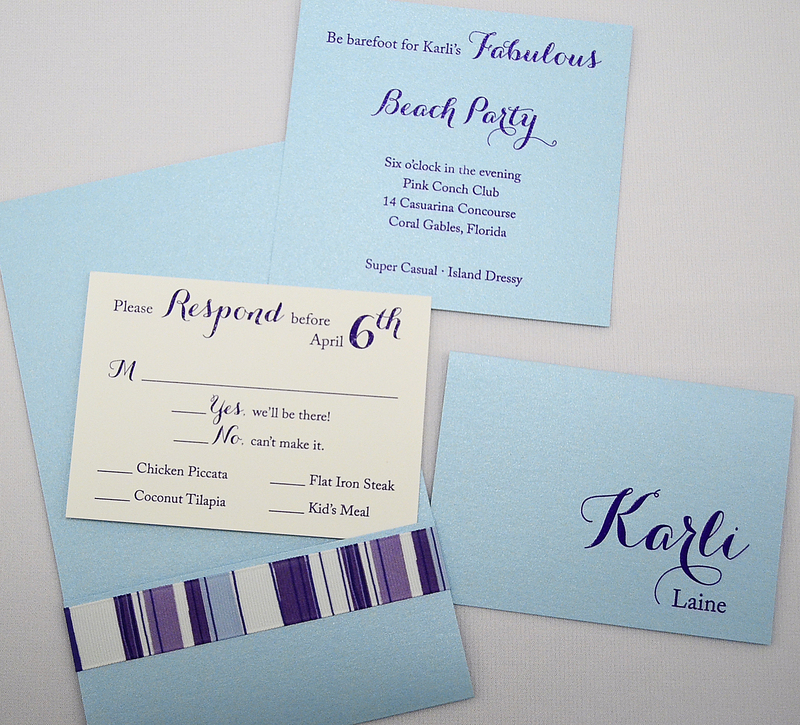 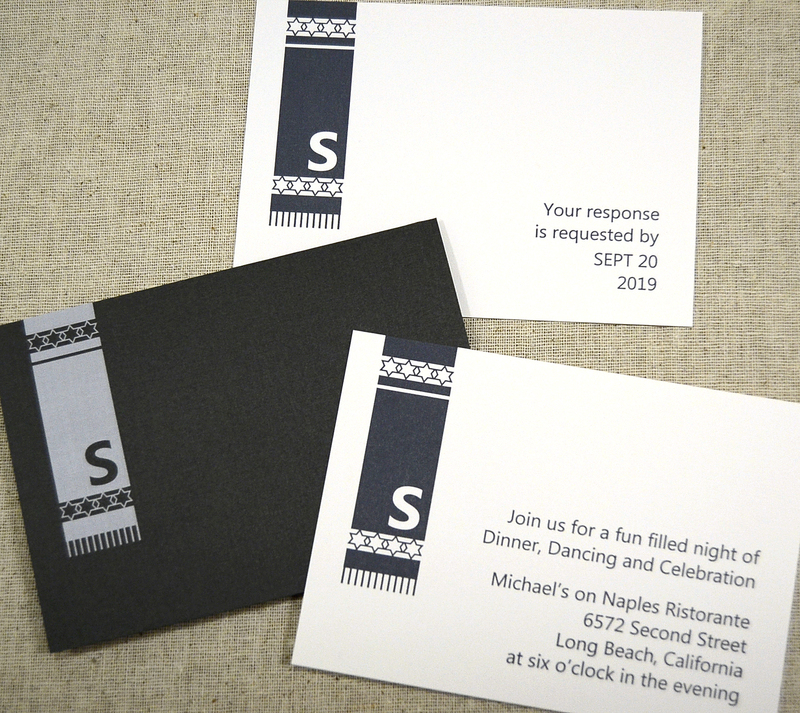 Choose one of our ready-to-print party themes, or design your own. 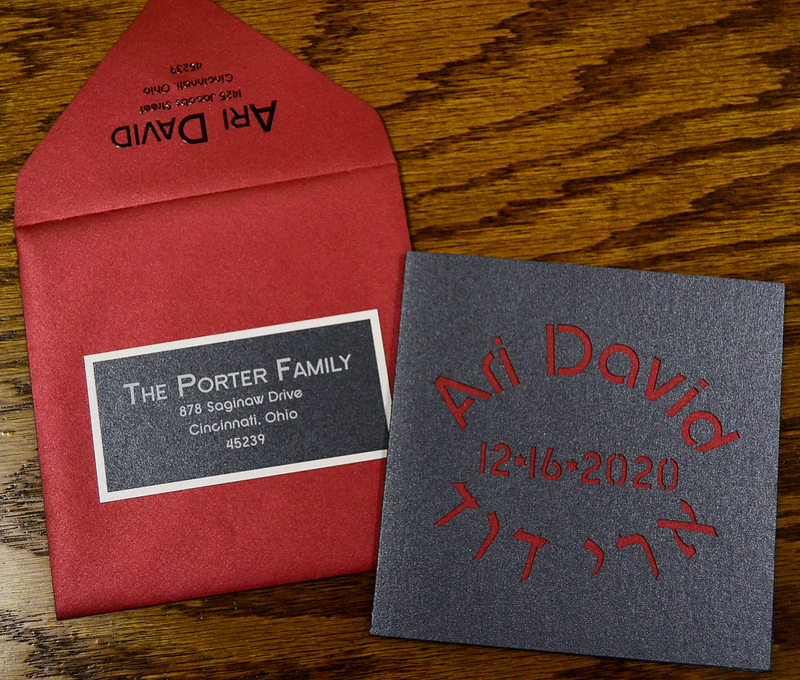 Envelopes are available if you are mailing this separately.